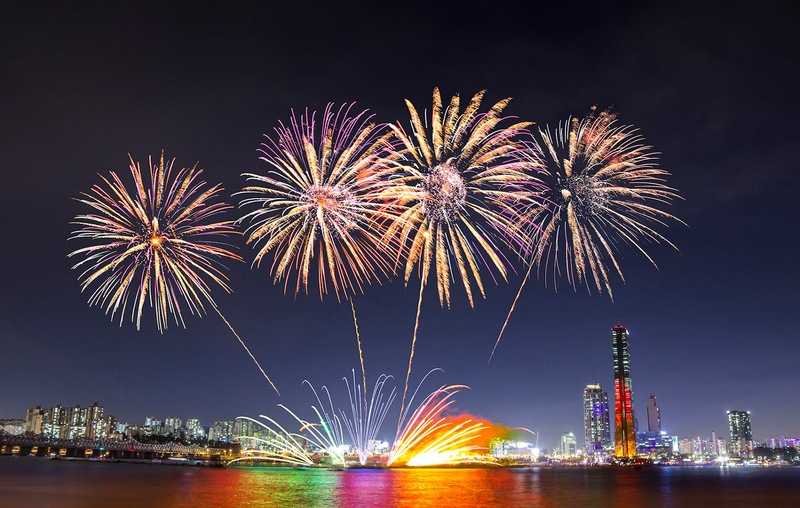 The Seoul International Fireworks Festival is s a fall-time festival with lots of events and performances in the sunny hours before the fireworks. For the fireworks ceremony, usually South Korea teams up with fireworks teams from two other countries. Last year the visiting teams were from the USA and Philippines. A huge portion of my family is Filipino and celebrate that heritage, so I kind of feel cheated from being able to see a display from my home country and my family's originating country. Ah, what can you do? This year, however, the festival's guests will be from Japan and Spain! In any case, it will be a sight to behold. If you want some more information, you can visit this website, which has all of the festival information in English. Michael and I had planned to attend this year's festival, as it's on October 8th (in other words, tomorrow), but we just got word that his work is having an event that he and I may be expected to attend. Sigh. Please don't forget to visit these other lovely ladies participating in this series and see what fall events they chose to share with us! That looks like an absolutely spectacular display! Thanks for sharing. The last time I saw a fireworks display was 7 years ago. I'm craving it! Oh, I do hope you guys get a chance to go or at least see some of the fireworks from a distance? My family is into fireworks displays and into heritage actually, so this sounds interesting. Does Seoul do fireworks for any other holidays or festive occasions? Michael's work got in the way and we weren't able to see the fireworks this year. :'( Bummer, but we can always hope for next year! There are a lot of smaller events with fireworks throughout the year, but nothing as big as this particular event. For something close to it we would have to go south to Busan or Jeju Island in the summer. That sounds like a blast! I love a great fireworks show, though my neck always ends up getting stiff #oldladyhere. Hope you guys got a chance to go!